Are FR Hoodies Appropriate Jobsite PPE? Many industries require their workers to wear FR clothing. Does yours? If so then you might be familiar with some of the challenges of this requirement. Employees will sometimes resist wearing their FR clothing. They claim that the clothing is uncomfortable or too bulky. But, manufacturers have come a long way in designing clothes that are comfortable to wear. Perhaps employees aren’t aware of how comfortable some of these new options are. For instance, did you know that FR clothing is now available in hoodies and sweatshirts? There’s even FR fleece! Having comfortable options might make your employees more willing to wear their PPE. And, with something as important as FR clothing, you definitely want them to wear it. The risks of not wearing it can be significant. Workers could get seriously burned or even killed. FR clothing is important for protecting workers from fire-related hazards. Maintenance workers and electricians commonly wear FR clothing. Most workers in the oil and gas industry wear it too. What kind of environment do your employees work in? Are all of your workers required to wear FR clothing? Or just some of them? There are two kinds of FR clothing: flame resistant and flame retardant. Both will provide protection for employees. The difference between the two is in the fabric. Flame resistant clothing in inherently constructed to self-extinguish when exposed to flames and embers. Flame retardant is chemically treated so that, it too, will self-extinguish. It’s important to note that FR clothing will catch fire if exposed to flames. It’s not fire-proof. But the clothing will not continue to burn. Remember, it’s designed to self-extinguish. The purpose of FR clothing is to minimize the extent of burn injuries. And to reduce the number of workers who are affected by fire-related hazards. You may also be familiar with AR clothing. Arc-rated clothing protects workers from electrical arc hazards. AR clothing is a step up from FR clothing. 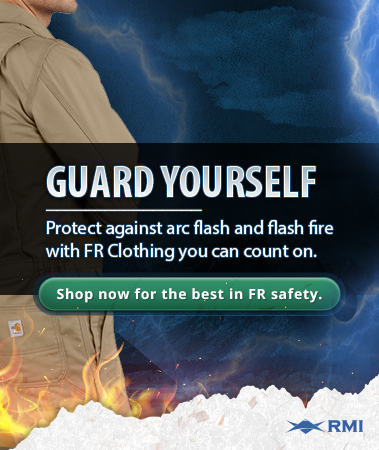 All arc-rated clothing is flame resistant. But not all flame resistant clothing is arc-rated. Make sure you understand the difference with our blog, "The Difference Between AR and FR Clothing"
As the employer, you’re responsible for providing workers with the necessary personal protective equipment they need. There are plenty of options to choose from when it comes to FR clothing. But you still need to take the time to review those options. Make sure you are getting something that will adequately protect employees. Some of the things you’ll want to take into consideration are comfort and durability. You need to get something that your workers are willing to wear. If it isn’t comfortable, they won’t be happy about having to wear it. You also want the clothing to last. If your workers are required to wear FR clothing every day, eventually it will need to be replaced. It might be worth investing a little more money upfront to save you in the long run. See if you can get some samples from your supplier. If you have something to feel and try on, it’ll make your purchasing decision that much easier. With samples in hand, you’ll get to see how truly comfortable some of these garments are. 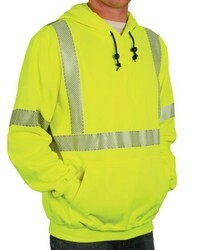 This hoodie features FR protection and high visibility. This option will keep your employees safe from multiple hazards. It’s also made from FR fleece. Always check the tags. Make sure you understand the materials your garment is made of. Follow instructions for laundering and maintaining your FR clothing. 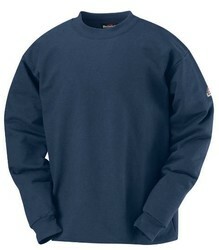 This sweatshirt features 100% cotton with brushed fleece. It’s a comfortable option for employees who are looking for an extra layer of warmth. There are several other crewneck sweatshirts similar to this one. Contact a trusted supplier to see some similar options. The crewneck style is a good option for workplaces that don’t allow hoodies. 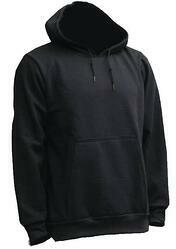 National Safety Apparel has this fleece hoodie option. It’s a popular option for employees who work outdoors. Notice how you can’t even tell that this is an FR hoodie? Most FR sweatshirts are made with FR fleece. But some aren’t. If it’s a feature you and your employees are looking for, double check before you order. Any of the options shown above can be used alone or as layers. It depends on the ATPV rating you need to do the work safely. ATPV is the Arc Thermal Protection Value. It’s a rating expressed in calories per centimeter squared, or cal/cm2. ATPV is the estimated level of protection that workers need for specific situations. Layering isn’t required, but it’s often a good idea. Employees should wear only FR garments when exposed to fire and arc flash hazards. FR hoodies and sweatshirts can be worn on top of FR t-shirts and jumpsuits. They can also be worn underneath FR winter jackets. Employees want to be comfortable. They want to be warm. And they also want to be protected from hazards. FR hoodies and sweatshirts are a great way for them to have it all. With FR clothing, they’ll stay protected. And they have an extra layer for comfort and warmth. But how do we know that FR hoodies are safe to wear? Remember, this kind of clothing is fire-retardant. It’s treated to protect workers from fire-related hazards. Fire-retardant clothing is perfectly safe to use and wear. But it does have limitations. Pay close attention to the manufacturer’s recommendations—specifically when it comes to laundering the fabrics. Check the inside label for washing instructions. Most manufacturers recommend avoiding bleach and fabric softener. Bleach can degrade the chemicals that makes it flame resistant. And softeners can leave behind a flammable residue. Bar soaps and fatty soaps can do the same. Treated fabrics will only last a certain number of washes. Replace garments when necessary. Check with the manufacturer for specific details. There’s one other thing you need to keep in mind about hoodies. It’s about where your employees are wearing them. Are they working near rotating equipment and machinery? Some companies have strict policies against wearing loose-fitting clothing that could get caught in rotating parts. Make sure these kinds of hazards aren’t a problem at your workplace. But if they are, you still have options. Instead of wearing a hoodie, employees could wear crew neck sweatshirts. Pay attention to these potential hazards with hoodies. And make sure you understand the washing requirements. But otherwise, hoodies are perfectly safe to use in the workplace. So long as they are treated to be fire-resistant. 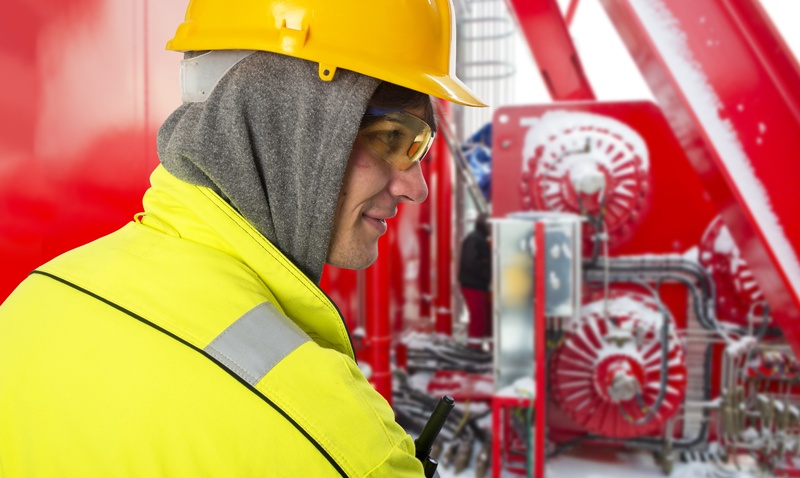 With so many options for warm, comfortable clothing—your employees should have no excuse for not wearing their FR clothing. But, you need to be the one who provides it to them. Show them examples. Get their input. And order them a product that they’ll be happy to use. Want more information on FR clothing? Check out more of our recent blog posts. Give us a call and let us know what you’re looking for. Our team is here to help.